The Norwegian Armed Forces’ shooting ranges contain contamination by metals such as lead (Pb) and copper (Cu) and are often used as grazing pastures for livestock. To determine whether the sheep were at risk from grazing at a shooting range in Nord-Trøndelag (the Leksdalen shooting field), a study was conducted wherein the aim was to determine the amount of soil the sheep were eating, the accumulation of Cu and Pb in the livers of lambs grazing on the shooting ranges, and the accumulation of Pb and Cu in the grass. The grazing behavior of the sheep was mapped using GPS tracking and wildlife cameras. Soil, grass, feces, and liver samples were collected. All the samples were analyzed for Pb, Cu, and molybdenum (Mo), and soil and feces were also analyzed for titanium (Ti). 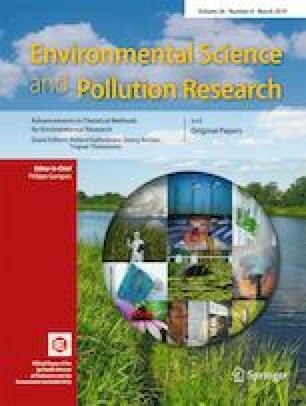 Mean concentrations in grass, soil, feces, and liver was 41–7189, 1.3–29, 4–5, and 0.3 mg/kg Pb, respectively, and 42–580, 4.2–11.9, 19–23, and 273 mg/kg Cu, respectively. The soil ingestion rate was calculated using Ti in feces and soil. From these results, the theoretical dose of Cu and Pb ingested by grazing sheep was calculated. The soil ingestion rate was found to be 0.1–0.4%, significantly lower than the soil ingestion rate of 5–30% usually used for sheep. Little or no accumulation of Cu and Pb in the grass was found. There was no difference between the metal concentrations in the washed and unwashed grass. According to the calculated dose, the sheep were at little or no risk of acute or chronic Pb and Cu poisoning from grazing on the Leksdalen shooting range. The analysis of liver samples showed that lambs grazing on the shooting range did not have higher levels of Cu or Pb than lambs grazing elsewhere. None of the lambs had concentrations of Cu or Pb in their livers indicating poisoning. The online version of this article ( https://doi.org/10.1007/s11356-018-1824-6) contains supplementary material, which is available to authorized users.